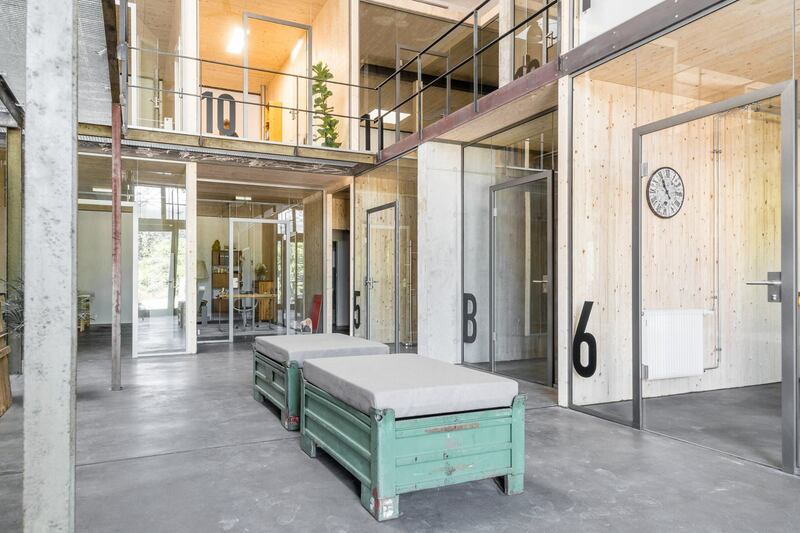 The KreativRaum, located at the Bürgerbräu Würzburg area (read more below), offers 13 single offices aimed at creative people. 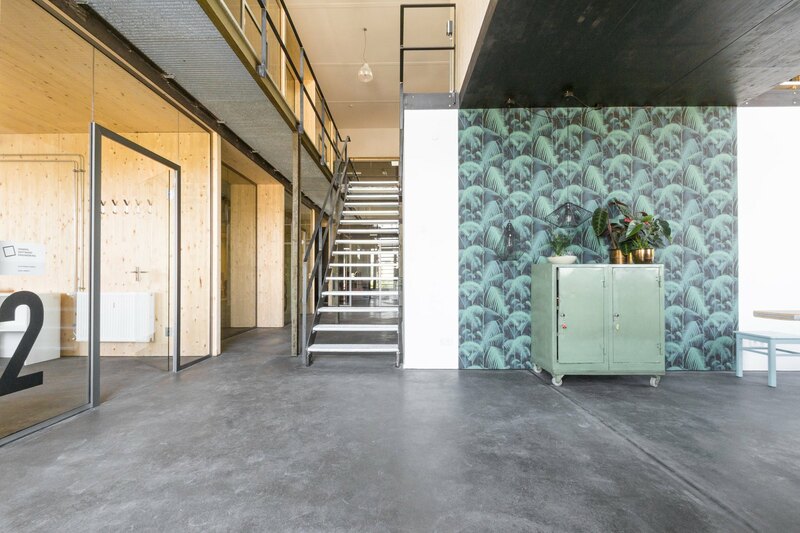 We’ve been working here since June, and we couldn’t be happier with our offices, with the property itself and its charming yet chic industrial atmosphere. Besides the obvious benefits of working in an environment that makes you feel at ease – even at home – our new office colleagues turned out to be very nice and open-minded people. We intentionally went for a location that fosters social activities, and it couldn’t have worked out better! As one of the last architectural examples of the Wilhelminian era, the Bürgerbräu Würzburg documents a part of the history of the city and the region. Arranged at one of the city entrances, it is particularly important to the city, its citizens and the district of Zellerau. The almost 200-year history, especially the decline of the brewery and the long vacancy of the last years, have left their mark on the buildings and the entire area. With the acquisition of large parts of the ensemble by the Bürgerbräu GbR in the summer of 2012, the revitalization of the site will be initiated. The memorial Industrial Culture is cautiously and in close co-ordination with the monument protection, with a quality architecture language transported into the 21st century and established as a hallmark for the city entrance and the entire city. The area is surrounded by a spacious park-like greenery structure. With their reactivation and supplementation, as well as through new gastronomy and event offers, an attractive recreation area is created. The public space in the center of the area is deliberately transformed into a communication space for its own users, but also for visitors from outside. The german word “Picherei” derives from the verb “pichen” which means sealing barrels with tar pitch. The former Picherei now houses 13 small office units for creative people. Stacked wooden boxes offer space to work. Wood, large glass surfaces, historic stonework, historical steel beams – a contrasting and exciting impression of space. Find out more about our office space on the Bürgerbräu website.